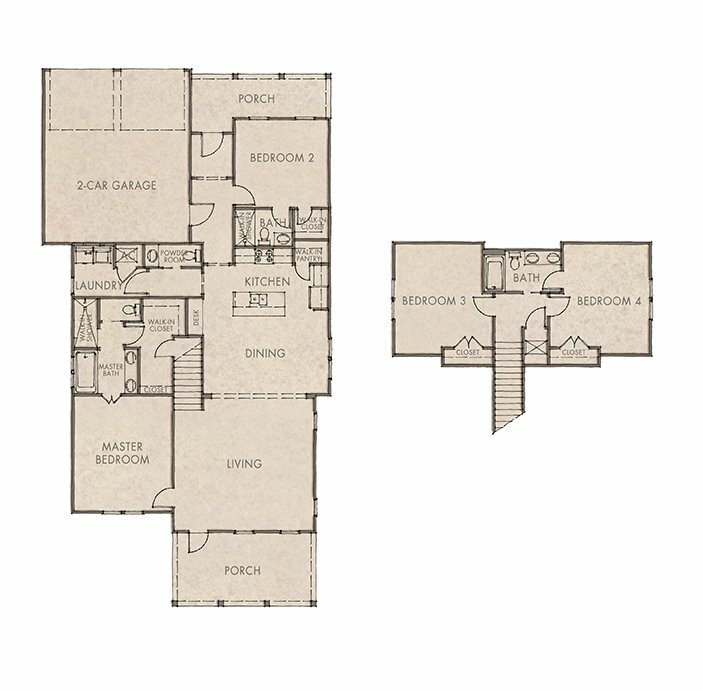 Coral Bean is a two-story floor plan designed with entertaining in mind. The open kitchen and generously sized living and dining rooms are ideal for hosting guests. Front and back porches offer additional opportunities to gather. The 1st floor master bedroom features a spacious walk-in closet and bathroom with large walk-in shower, soaking tub and his and hers vanities. A second bedroom with full bath is also on the 1st floor while two additional spacious bedrooms are on the second floor.